Endodontics is a microscopic science. All diagnostic and therapeutic treatments are performed using the most advanced Dental Operating Microscope available today to provide superior visualization inside the tooth. This technology is fairly new and generally under-utilized in dentitstry, yet it enhances our ability to provide more complete and conservative dental treatment. 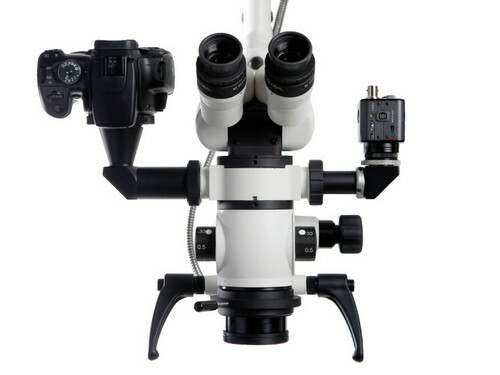 At magnifications of more than 20x and with optimal LED lighting, we are better able to see extra canal systems, unique anatomical anomolies, and identify fractures. Our office utilizes advanced digital imaging which reduces radiation exposure during dental x-rays. 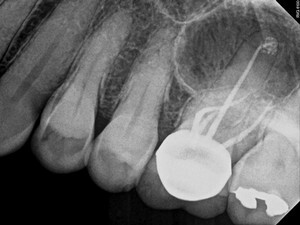 Because these images are digitized, the Endodontist may utilize computer software to amplify and manipulate images for better diagnostic purposes. Greenspring Endodontics is very proud to be one of few offices utilizing 3-D volumetric imaging, also known as Cone Beam Computed Tomography (CBCT). When appropriate, this technology can dramatically improve our diagnostic abilities to better treatment plan. 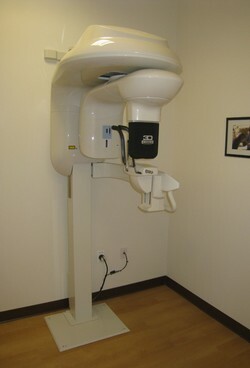 Our office uses a Kodak 9000 CBCT machine that has the highest resolution available on the market today. This device also minimizes radiation exposure by having a very small area of focus to allow detailed visualization of the tooth or area of interest, without unnecessary exposure to surrounding tissues. Our office uses the latest advanced equipment available for each treatment. These include highly flexible nickel-titanium files, computer-controlled rotary instrumentation, electronic apex locators, and precise ultrasonics. Greenspring Endodontics is a paperless office thanks to our practice management software: The Digital Office (TDO). Patients can log in and submit their registration and medical histories from the comfort of their home/office computers, prior to their visits. Referring doctors can log in to view and download their patient reports and images. X-rays, reports and microscopic images can be sent with the click of a mouse, and we have access to our office from any computer with an internet connection. All of this is made possible via our fully secure, HIPAA compliant, virtual private network. These advances allow us to focus on our top priority: providing you with excellent care.